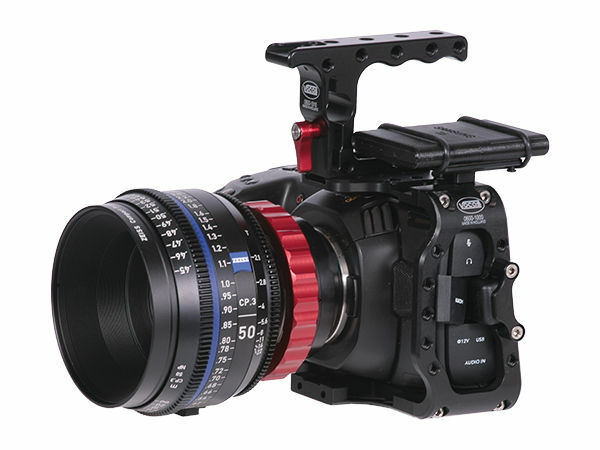 At the BSC EXPO 2019 in London, Vocas presents its accessory solution for the small - but still compared to its predecessor significantly larger - Blackmagic Pocket Cinema Camera 4K. The C-Cage Kit consists of a three-sided camera cage with an integrated HDMI connector or adapter -- the camera is pushed onto the connector in the cage and the cable is then connected to the cage again. This protects the socket, but the (potential) problem of static charging remains. The kit also includes a small handle with Cold Shoe and 15mm recess for a (not included) EVF adapter as well as an SSD holder, on which the SSD is fixed with rubber loops. Everything together weighs 225g. The kit costs 425 Euro plus VAT. 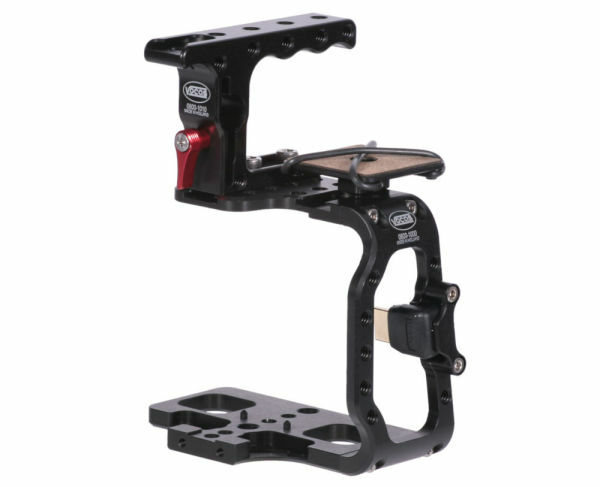 Optionally available are components compatible with different cameras like a Vocas MFT to PL adapter, different Viewfinder Bracket Kits and for a complete rigging the FCR-15 Basic Kit. Delivery of the C-Cage Kit for the Pocket 4K is expected to start on February 8th.